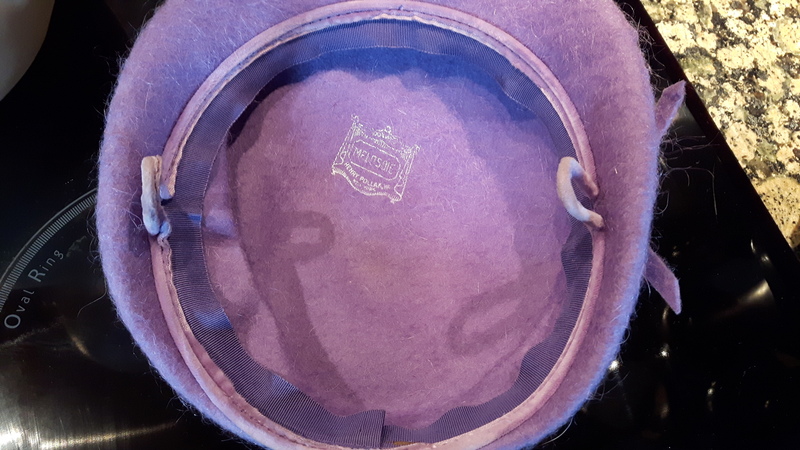 1950s original lilac mohair cocktail Hat 21 inches 53 cms circumference with side grips to hold hat in place. 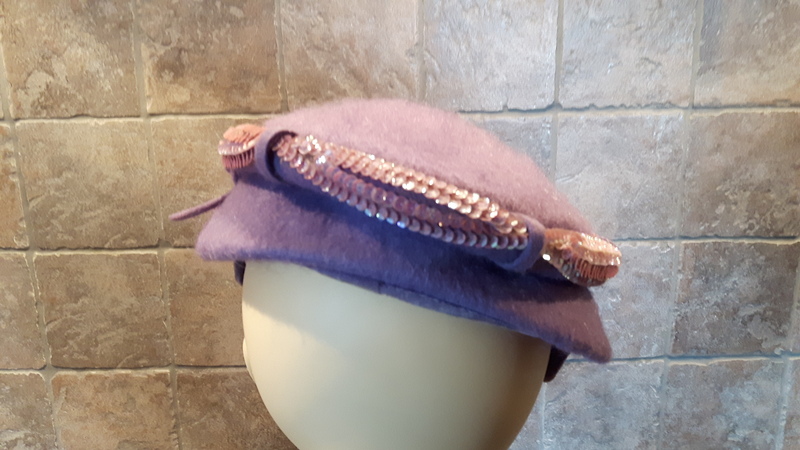 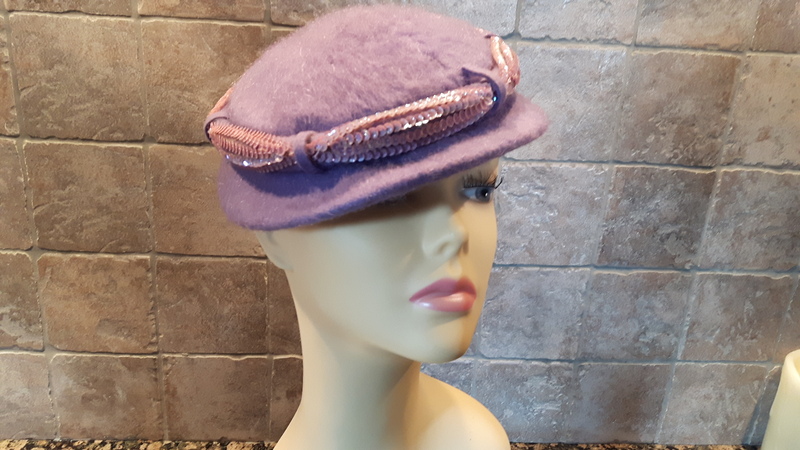 The hat is embellished with a twisted pink sequin band. Overseas buyers please contact me before purchasing for exact shipping costs.